When Star Wars: The Force Awakens hits theatres back in December it was an international hit, finishing third in the all time box office list. One person who was less than excited about the film was the man who's films currently occupy the top two spots on the aforementioned list. 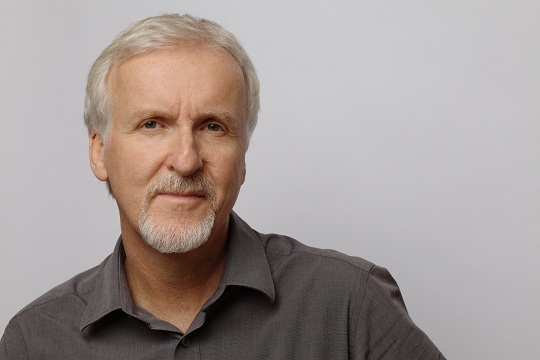 An interview with director James Cameron (Avatar, Titanic, Terminator 2: Judgment Day) recently appeared on YouTube (and has since been removed) where shared his thoughts on the seventh instalment in the Star Wars saga. "I have to say that I felt that George’s group of six films had more innovative visual imagination, and this film was more of a retrenchment to things you had seen before and characters you had seen before. And it took a few baby steps forward with new characters. So for me the jury’s out. I want to see where they go with it." Here's the thing, Cameron's not wrong. The Force Awakens was a return to what made audiences fall in love with Star Wars back in 1977, especially when it came to story beats and visuals. That was the point. The Force Awakens had to set up a brand new story and to do that it had to tread over some familiar ground, both to give the characters a solid foundation from which they can go off in new and exciting directions, and also to make mainstream audiences excited about Star Wars again. And it succeeded, I would say, on both accounts. Cameron alludes to the fact that he wants to see where all this is headed in the next two films, and that too is a fair assessment. The sequel trilogy may have had a familiar beginning, but it is crucial that its sequels explore new grounds (narratively and visually). If Episode VIII feels like a retelling of The Empire Strikes Back, then I'll be concerned too. Yeah movie was totally unoriginal but that's what they were going for but yeah it was the wrong thing to do. And it's 90% chance now the Episode VIII will be like Empire Strikes Back. Disney needs to think of something original, I hope they hear this for Rouge One. He's a Prequel Fan, he is. George really only made 4 Star wars films himself and the first one was almost a disaster before editing. George used to have really good ideas, but the ones that work best are the ones that were collaborations like EMPIRE and RAIDERS. Sure, Jedi is a mixed bag. Ewoks, ANOTHER death star... at least Force Awakens had the sense to make a slightly different giant ball weapon. The Force Awakens was not a rehash so much as it was familiar, none of it felt FORCED like the prequels. Plus, JJ can actually direct actors. 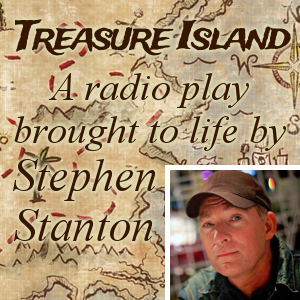 George is one of those film makers that did his best work while fighting againt limitations. The prequels are what you get when no one tells you NO. They are sub-Par films on almost every level with a handful of great visuals and special effects. The acting in Force Awakens may be some of the best we've gotten in any of the Star Wars films. But It's just a rehash? A Blonde Skywalker boy has to leave his home on Tatooine to follow an old Jedi. He meets a young royal girl, a cocky warrior, an alien and R2D2 along the way. The old jedi is killed by an evil Jedi all in Black. Skywalker finds himself piloting a Starfighter for the firth time and luckily blows of the round evil space station to save the day. They hold a ceremony at the end to celebrate. That is the Phantom Menace and also A New Hope. What does the Force Awakens have in that regard? Jakku, not Tatooine. Familiar, but not the same. Hero is a girl, not a skywalker boy and she is a scavenger, not a farmer. A stormtrooper defects to the rebels, that's new. The main villain models himself after Darth Vader. As he turns out to be related to Vader we can call this pretty close to the same kind of villain at first glance. But we do get more Time with Kylo Ren than we did with Vader and his character has more depth than Vader did in his 12 minutes of screen time in a NEW HOPE. But Villain in black wearing a mask? Okay. Quite similar. That's 1. There is an X-Wing battle at the giant ball space station with a specific LONG SHOT type weakness. That is the same. That's 2. Han Solo & Ben is similar to Obi Wan Vader in a few respects, but so different in many others. I'd call this Familiar but not the same. Rey uses the force in a way we've never seen, seeming to reverse engineer it. Luke only used the force once in a NEW HOPE, to fire the torpedo into the Death Star. The assertion that this is the same movie because there is a giant ball weapon that gets blown up by X-Wings is as silly as saying Return of the Jedi is the same movie for the exact same reason. George Lucas says that the stories are supposed to have familiar beats. Force Awakens was more Original than that, even if it did have some familiar concepts, you know, STAR WARS type stuff in a STAR WARS movie. We get new planets, new aliens, new Main Characters who are (so far) not related to the previous cast, which we ALSO get. The movie was really fun and I am always amazed when someone doesn't like it. After watching TFA more than a dozen times I have gradually changed my opinion on the film, from loving it to just enjoying it. All the retro style essence of the story as taken me aback (starkiller base, Jakku etc). Personally I think they should have decided to endorse Rogue One to reboot the franchise, furthermore acting as an appetiser for the new sequel trilogy. This would have allowed more time to broaden TFA's story. I would also add that although JJ Abrams made a great effort in the reboot of the franchise, I feel it would be erroneous to acquire his services in another star wars movie because of his lack of risk taking. Despite the above issues I feel confident that Ryan Johnson is an 'outside the box' film maker' that can fulfil the expectations of the fandom without trampling into the mould of 'Empire Strikes Back'.